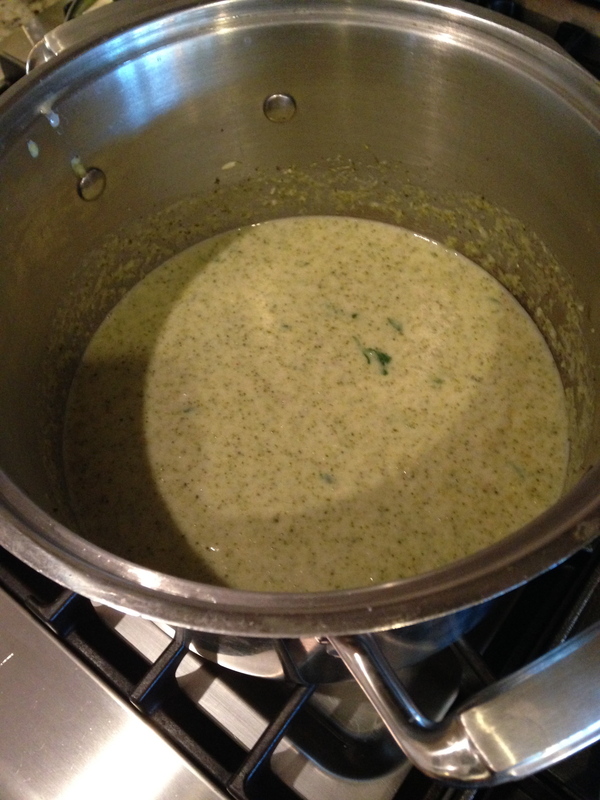 Yummy Warm Winter Broccoli Soup - Real Food. Real Fitness. Here are some health facts about this amazing super food you may not know…. High in vitamins B1, B2, B3, B6 iron, magnesium, potassium, folate and zinc too. Studies suggest that a diet rich in cruciferous vegetables may reduce the risk of some cancers. Broccoli is a great veggie choice during pregnancy but lately I am tired of steamed broccoli, its just boring. I have tried sprucing up the flavor with olive oil and sea salt, garlic infused olive oil, even melted cheese but I have begun to just dread eating it. So what I have been doing instead is making soup, yes broccoli soup! Not only is it loaded with broccoli but also homemade bone broth (another pregnancy super food). I have been warming up a cup almost daily. 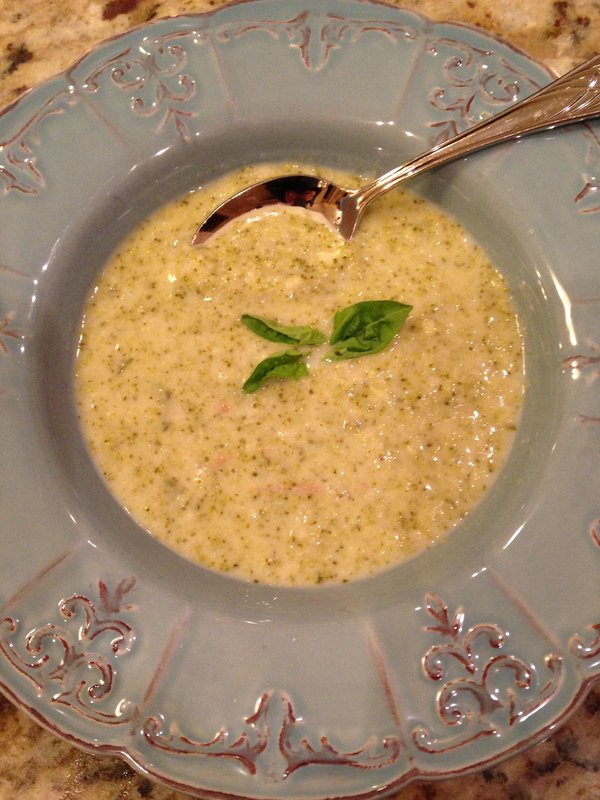 Here is the recipe I use from Dr. Mercola at www.nograindiets.com , its pretty basic yet savory, and creamy! Enjoy! TIP- I use a hand emersion blender and it works great to puree. In a large pot, combine the broccoli or cauliflower, onion, potatoes, stock, wine, lemon juice, salt, and pepper. Bring to a boil. Decrease the heat to low, and simmer covered until the vegetables are tender, about 25 minutes. Remove the soup from the heat and add the cream. Using a high-speed blender, blend the ingredients, wrapping a towel around the top of the blender to prevent spillage. You will probably have to do it in 2 or 3 rounds as you do not want to fill the blender to the top. Add half the basil and blend until smooth (This is where I used the hand emersion blender and blended right in the pot). Serve in bowls garnished with lemon slices and basil leaves. *You can also use cauliflower for this recipe.